The Foreign Affairs Minister of Singapore, K Shanmugam, said on August 8, 2014 that China and ASEAN should consider practicing self restraint in their actions in the South China Sea as mentioned in the DOC (Declaration of Conduct) that was signed by the two parties in the year 2002. Nay Pyi Taw: Shanmugam, Singapore’s Foreign Affairs Minister stated that it is necessary for ASEAN and China to practice self restraint for their activities in the South China Sea. Recent calls made to Singapore by the Philippines and the US caused the foreign affairs minister to respond to questions asked by the media concerning the position of Singapore for a freeze on the activities in the maritime territory. The ASEAN Foreign Ministers’ Meeting is being attended by Shanmugam who is in Myanmar. The meeting began in Nay Pyi Taw on Friday by sharing views on international and regional problems. Thein Sein, the president of Myanmar, began the session encouraging ASEAN to enhance its ability to struggle for a settlement of disputes. Many member countries of ASEAN are entangled in territorial disputes with China concerning the South China Sea. Philippines called for a halt on the provocative actions occurring in the disputed region. 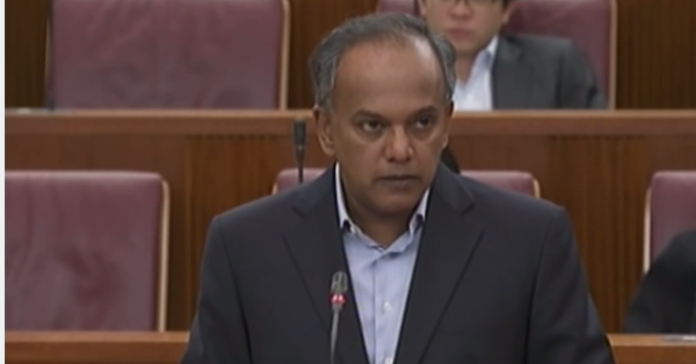 During the meeting, no one was able to decide upon a conclusion, which is why Mr. Shanmugam suggested that a Code of Conduct (COC) should be created, which would tell how to manage and avoid such incidents and could help in halting some activities. Wang Yi, foreign minister of China, stated that they all hope to harvest the implementation of COC and DOC consultation. He also stated that they should discuss with the other members before making any further suggestions. He refused to identify his suggestions on the spot because he was afraid that the others would disagree, but Singapore should feel free to make suggestions. Foreign Ministers from China and ASEAN will attend the meeting on Saturday on August 9th and they are expecting to talk about the territorial dispute of the South China Sea. China suggested earlier on this week that more meetings should be held to improve the mutual understanding on the problem. China invited the senior officials of ASEAN to attend a meeting next month at a resort in China.